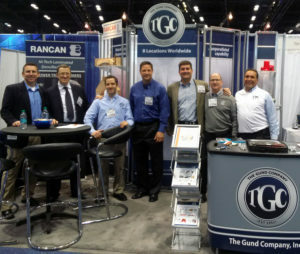 The Gund Company is a manufacturer and fabricator of engineered material solutions. These materials have many applications, including electrical insulation for power generation equipment. If you work with power transformers, low and medium switchgear, or power electronics we’d love to meet. Our exhibit in Booth 779 at IEEE T&D 2018, will showcase a variety of high and low pressure laminate materials are ideal for insulating this equipment. Our Design to Cost Engineers will be on hand to review a variety of cost-reduction initiatites. We encourage you to schedule some time with our Application Engineering Tem so you can review your drawings, discuss material options, and cost-reduction opportunities. Please fill out the form to the right to schedule time at the 2018 IEEE T&D Conference .